These fun and easy-to-make overalls can be made short or long. Straps go through fabric loops to button or snap on. 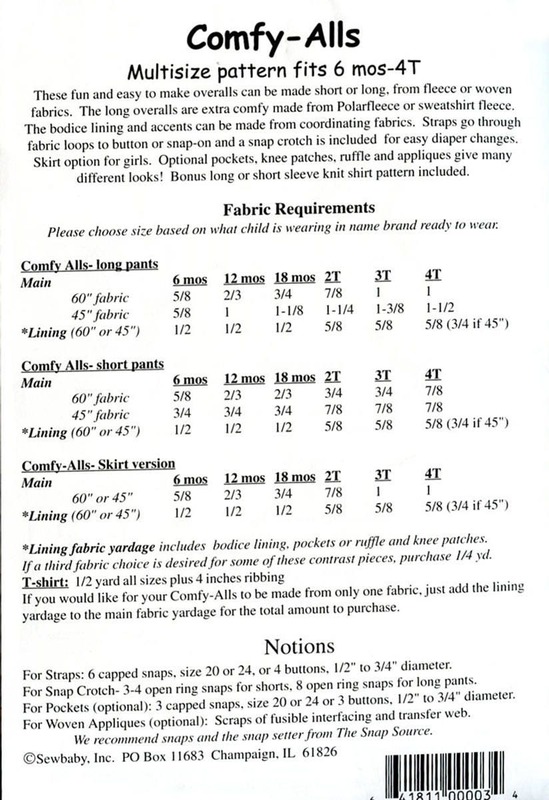 Optional pockets, knee patches, and appliques offer many different looks. 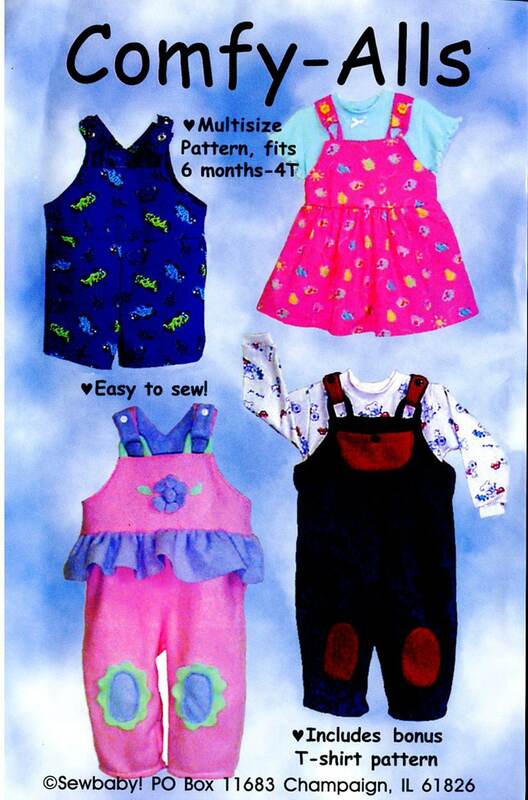 Multi-size pattern fits sizes 6 mos - 4 yrs.